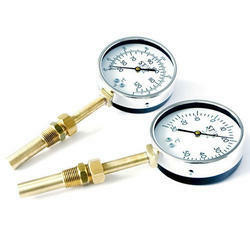 Service Provider of a wide range of services which include bimetallic thermometer and vapour pressure thermometer. 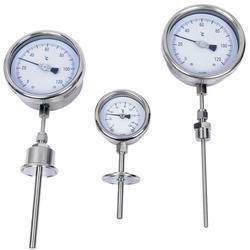 We are presenting an exceptional quality of Vapour Pressure Thermometer to valuable clients. The products brought forward are made-up of high quality raw material obtained from most authentic merchants of the market. These products prior to final release to clients and are checked on a variety of basis in conformity to global principles. These products offered are on hand in nominal prices and in different measurement given patrons. Looking for Thermometer Products ?